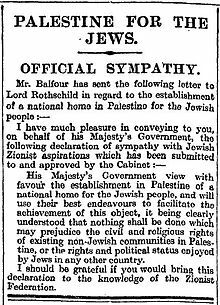 November 2017 marks the 100-year anniversary of the Balfour declaration, a public statement issued by the British government announcing support for the establishment of a national homeland for the Jewish people in Palestine. To mark the event, ACMES and ASCA in collaboration with gate48 and Spui25 have invited scholars to present on issues relating to space and society in contemporary Israel/Palestine. The scholars will, each from their own research practice, focus on different aspects of how people navigate everyday life and how this is affected by the regulation of space. Erez Tzfadia will discuss two aspects which the Balfour declaration symbolizes for the Zionist movement: an imperial support of Jewish colonization of Palestine and the supremacy of the rule of law. However, the rule of law and the logic of colonialism may contradict each other, resulting in practices of territorial control in which the logic of ethno-nationalism, and not the logic of law, determines the future of development. For about a decade now, Salem El Qudwa has been using photography in his field trips as an emergency architect, in areas inhabited by communities in need and affected by the Israeli attacks on the Gaza Strip, Palestine. The photographs both map physical places and record the social characteristics inherent in inhabiting such places. In his talk, Salem will provide and discuss some visual pieces showing how the residents of Gaza have dealt with the spatial constraints on Gaza. Erella Grassiani will focus on the way Israeli security technologies, knowledge, actors and the political ideologies that accompany them are shaped by the spaces in which they are constructed and move from one national space to another. She will examine what happens when products and actors move from spaces of occupation that are immersed within Zionist ideologies, to a commercial market and to spaces abroad with their own political realities. Respondent Jess Bier will reflect briefly on the presentations before the floor is opened for Q&A.